In this article we’re going to take a look at Paradise Island, a title available for iOS and Android. We’ll kick off with a short review and then we’ll get into some tips and cheats that might help you to get more from it. We’ll also explain how to get some of the secret awards. 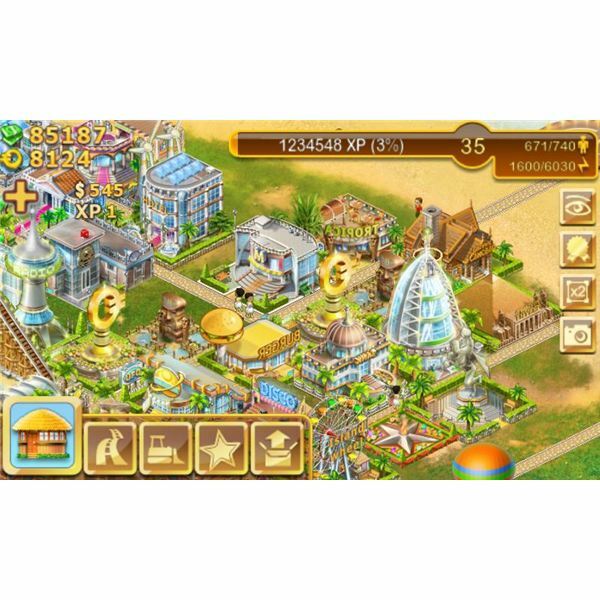 Paradise Island is a simulation game that casts you in the role of a developer. 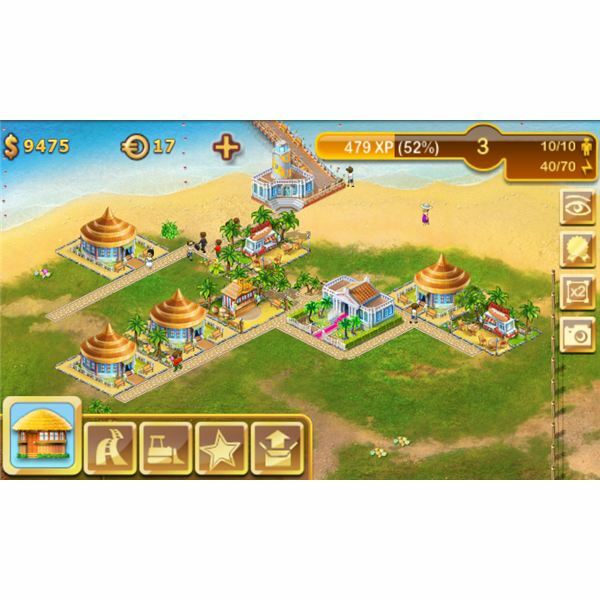 Your aim is to create a paradise of sun, sea and sand to attract tourists and build a fortune. You can construct a wide range of buildings from hotels and restaurants to discos and casinos. Buildings can be upgraded and improved and you can buy more land to expand your resort. It is an attractive game with a brightly colourful style. The interface is well designed and after a short tutorial you should have no problem getting into the action. The sound effects and music add some atmosphere, though, as with all tycoon games, the repetition can become grating. As you progress and hit certain targets you will unlock new content, awards and achievements. You also have the option to speed things along by purchasing more in-game cash. The game is set up to run even when you are not playing it. This is because everything in Paradise Island takes a long time to build. In fact this is the major problem with the gameplay. It is not really designed to be played for extended sessions but rather as a game that you will dip into a few times a day. You set things in motion and then return later to reap the rewards. To start with your options are horribly limited and you have to level up in order to unlock more content. As your resort begins to grow you’ll quickly find that buildings take a very long time to construct and even saving up the money for some of the more expensive options could take you days in real time. Since you have the option of in-app purchases of game cash (dollars or piastres) the obvious temptation is to splash the cash in order to proceed. So, while the game itself may be a free download, the developers obviously intend to cash in through in-app purchases. One of the easiest rewards to get is cash and XP for moving facilities. If you move, for example, your windmill a certain number of times by clicking on it and selecting relocate and then placing it on a new square you’ll get a reward. You need to move it 20 times in the first instance and you’ll get a handy $1500 and some XP. To get another reward you need to move it 50 times and it goes way up from there which makes it seriously tedious to do. You can also build road, 40 sections will get you the Roadworker award for $1,250 and 40XP. You can post photos on Facebook for more awards. Also keep an eye out for yellow and green dollar signs above your buildings and tap them whenever they appear for more awards. Cafes are great, not because they earn a huge amount of cash but because they are cheap to repair. This is an important factor to consider. Golf clubs are very good at earning, rarely break and are cheap to repair. Sunny centers are good, fast earners but they cost a bit more to repair. Hot dog stands, ice cream stands and cabins are all good earners but you have to collect regularly to get the most out of them. Cottages are too expensive to repair and even with big potential earnings the Burger restaurant can also prove to be very expensive to repair. In general you’ll find the higher the potential earnings the higher the repair cost. Remember that you can upgrade your buildings to increase their earning potential. Click on buildings to examine the difference the upgrade will make and choose carefully. 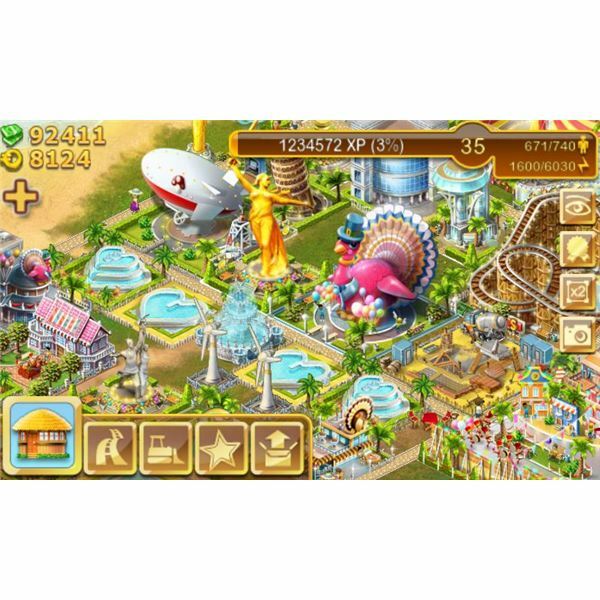 As far as I know there is only one cheat for Paradise Island and it involves changing the date or time on your phone to fool the game into thinking time has passed so you can earn more cash. Reports on how successful this is vary but you may receive a warning from the developer and if you persist then some of the game content will become inaccessible for you. If you do want to try it then put your phone in offline mode and then advance the date by a day. Load up the game and collect your cash and start more buildings and then advance it another day and so on. You could alternatively wait until you have some cash saved up and put the date back by a month, start a bunch of buildings and upgrades then return to the current date and they should be done without you having to wait. Try it at your own risk! 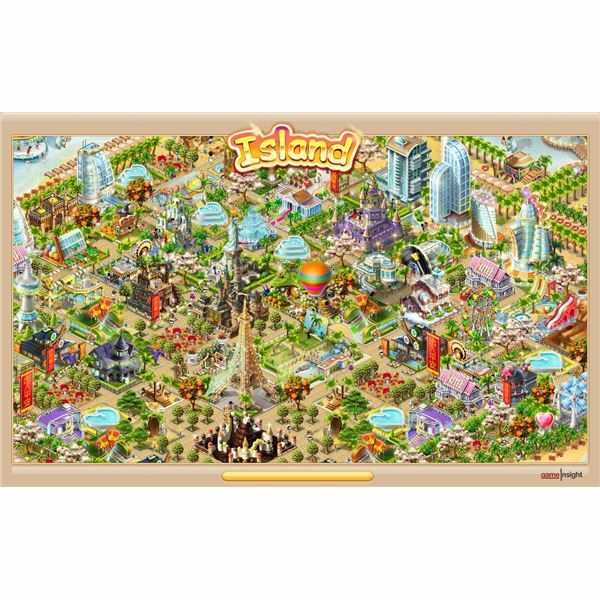 If you have any other tips or tricks for Paradise Island then please post a comment and let us know. All references and screenshots from Paradise Island on Android.